Scale is relative. Mid-scale means larger than a team, yet not requiring the coordination of multiple projects with each other. Most attempts to solve the mid-scale arena have relied on using Scrum-of-Scrums which has not had a track record of success. 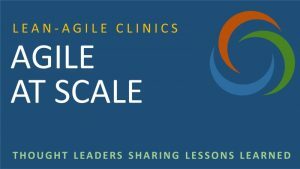 This section answers questions on Agile at mid-scale and provides many tools and practices that have proven effective at this scale. What Makes an Organization “Mid-sized” (or Above)?